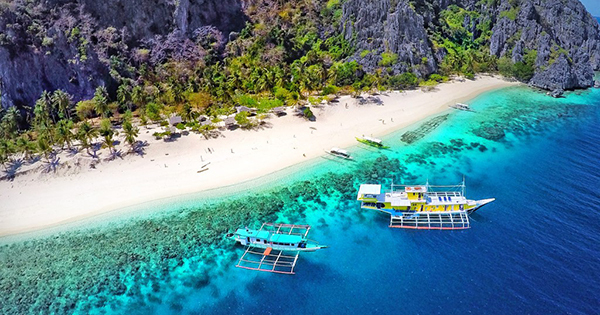 Discover and explore the many natural wonders of Busuanga - a large paradise island which is situated in beautiful Palawan, Philippines. Name it, they have it: lakes, lagoons, mountains, islands, beaches, World War II ship wrecks, etc. #1 - Kayangan Lake: Located in Coron, Kayangan Lake can be beheld with a mere 10-15 – minute hike which may be steep but so worth it! Once you step into this place, you wouldn’t be able to help it but desire to plunge into its cool, blue water to swim and snorkel to your heart’s delight! #2 - Barracuda Lake: Another lake that is not as big as Kayangan Lake, but quite at par with its size and splendor, Barracuda Lake, also found in Coron, is a diver’s haven and paradise. You will be amazed at this lake’s stunning rock formations, on top of which you can cliff dive and submerge into first the cold spot of the crystal clear water, and then its hot spot next. #3 - Twin Lagoons: A visit to the famous Twin Lagoons in Coron will need a boat ride towards the big lagoon and a swim through a cave onto the small lagoon. Its crystal clear green water is really deep so make sure you wear your life jacket for safety. What is also so fun about this site is that you get to see breathtaking lime stone formations around you as well as feel both cold and warm water as you dive into it, or relax there as you swim merrily with your family. #4 - Mount Tapyas: Wake up the adrenaline junkie in you, by taking the 700 or so steps up till the summit of Mount Tapyas, where you can get a captivating view of Coron Town, Coron Bay, its surrounding islands and even the “sleeping giant mountain.” You heard us right, that’s a whopping 700 plus steps so better have water with you ready and set your timing in going there: either you get there just in time for the sunrise or sunset, because both are uber worth all the effort. Enjoy! #5 - Sunken Japanese Wrecks: The real deal when travelling to Sangat Island, in Coron, the Sunken Japanese Wrecks are what divers and snorkelers are mostly after in exploring exciting Busuanga Island. To top it off, amidst all those historical ship wrecks, tourists can see amazing fishes and corals to boot. Furthermore, some of the names of those boats include Teru Kaze Maru, Morazan Maru and Lusong Gun Boat. #6 - Malcapuya Island: A very nice place to chill after much diving or trekking, do put Malcapuya Island on your itinerary, too! The fine, powdery white sand, crystal clear cool blue water perfect for snorkeling and swimming, fresh coconuts, excellent tree shades, as well as the clear blue/sunny skies, create that picture perfect ambience you may never want to leave at all!